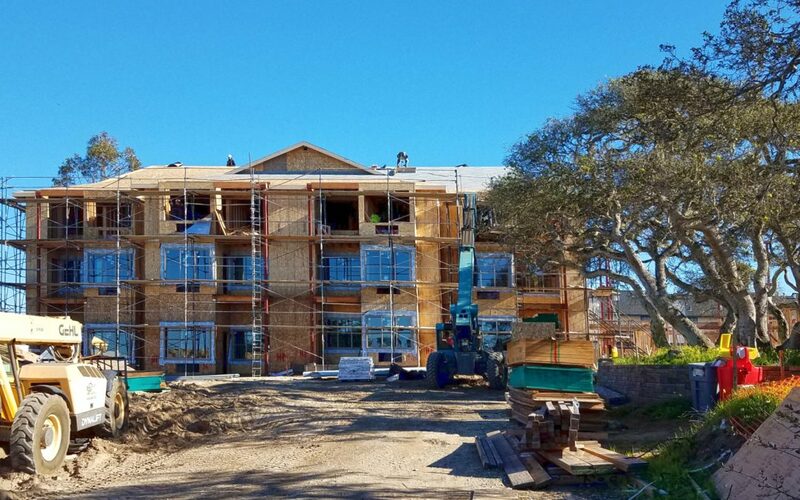 Construction on Junsay Oaks Senior Apartments is moving forward. We are now installing windows in the northeast wing. The roofline in that section of the building is now visible. In the southeast wing, framing is now underway. Photos show the work in progress.